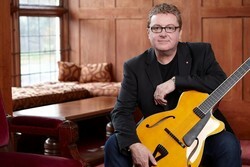 Jazz guitar virtuoso Dr. Martin Taylor MBE has partnered with online video exchange pioneers ArtistWorks, Inc. to launch the Martin Taylor Guitar Academy on April 15, enabling students from around the world to receive a unique interactive online music education experience. 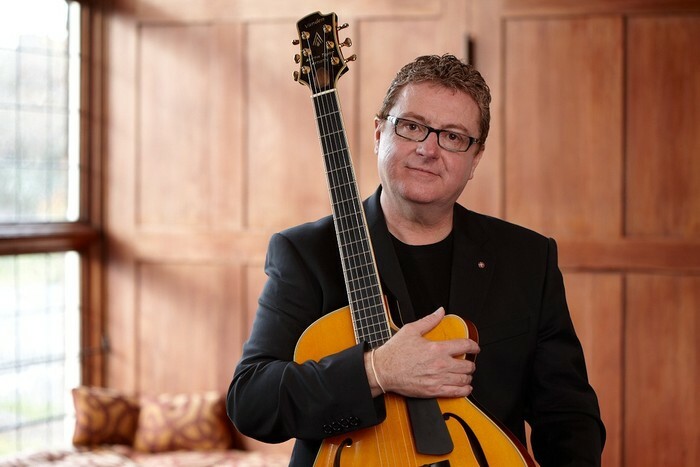 Martin Taylor is recognized as a modern master of solo jazz guitar playing and will share his inimitable talent and expertise in over 150 HD video lessons that range from simple tunes to highly advanced playing. The extensive video curriculum is presented on the innovative ArtistWorks online platform, allowing Taylor to use the latest internet video exchange technology to break the barrier of one-sided learning. Dr. Martin Taylor MBE is pleased to announce his partnership with online video exchange pioneers, ArtistWorks, Inc. The team will launch the Martin Taylor Guitar Academy (MTGA) on April 15, enabling students from around the world to receive a unique interactive education with the jazz guitar virtuoso online. 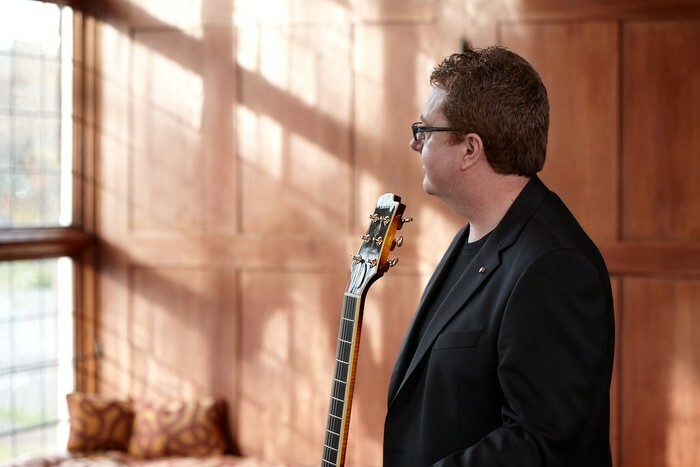 Martin Taylor has established an extraordinary career as an internationally acclaimed musician, and his distinctive style has seen him recognized as a veritable modern master of solo jazz guitar playing. Taylor has enjoyed a remarkable musical career spanning four decades and is known as a true guitar innovator for his ability to syncopate rapid bass lines with the guitar melody, often incorporating thumb-upstrokes on the bass strings for a distinct rhythmic quality. Taylor is widely recognized for his acoustic group "The Spirit of Django" and collaboration with musicians from various genres including, Stephane Grappelli, Chet Atkins, Bill Wyman, George Harrison, Dionne Warwick, Sacha Distel, Bryn Terfel, David Grisman and Jamie Cullum. Taylor is an Honorary Doctor of the University of Paisley, Scotland, and in 2002 was appointed MBE (Member of the British Empire) "For Services to Jazz Music" by HM Queen Elizabeth of England. Taylor has received a long list of prestigious awards, including recognition by the International Association for Jazz Education. With the advent of the MTGA partnership, he will now preside over a worldwide student body of solo and fingerstyle players. Taylor will share his inimitable talent and expertise in over 150 HD video lessons that range from simple tunes to highly advanced playing. The extensive video curriculum is presented on the innovative ArtistWorks online platform, allowing Taylor to use the latest internet video exchange technology to break the barrier of one-sided learning. Taylor personally instructs students through the video exchange system -- using a simple webcam, students can submit a video of themselves practicing their online lessons, which Taylor will review and issue a Video Response. Both videos are then posted together on the site so that the entire online community can learn, 24/7. Video submission is not required, study is self-paced. Students will be able to access multiple versions of most lessons, including an overhead perspective as well as slowed down and pitch-corrected videos. Perhaps the most anticipated feature of the MTGA lessons is the transcription -- Martin Taylor's work is notoriously difficult to transcribe and will be a valuable reference tool for students for mastering each lesson. The MTGA incorporates fully featured social media, including Student Profile Pages, Messaging, Forums and Chat -- uniting the world of solo and fingerstyle guitarists in one central place. The Martin Taylor Guitar Academy resides at http://www.MartinTaylorGuitar.com . The MTGA launch closely coincides with the release of Taylor's newest recording. To mark the 100th Anniversary of the birth of Django Reinhardt, one of the founders of European jazz, Martin Taylor has reformed his award winning group "Spirit of Django" after a 15 year hiatus. The new album is entitled "Last Train to Hauteville." If you can imagine the ideal soundtrack to driving through the scented country roads of France on a hot lazy summer's day then it would be the music of Martin Taylor's Spirit of Django. Learn more about Martin Taylor at http://www.MartinTaylor.com . The ArtistWorks online visual education format allows virtuoso musicians to "Teach the World" by presenting their full method, technique or curriculum in HD video to subscribing students of their sites. Simple webcams are used by the students to submit videos to the Artist through the site, for critique and guidance if they want personalized instruction. The Artists manage the video flow by using the Video Management System created and owned by ArtistWorks, Inc. (patent pending). Regardless of whether or not students participate in exchanging videos with the Artist, these "Video Exchanges" are posted for all subscribing students to learn from. This groundbreaking use of video exchange for the instruction of musical instruments has been implemented at Jimmy Bruno Guitar Institute, the Qbert Skratch University, Andreas Oberg Guitar Universe, Peery Piano Online, Tony Trischka School of Banjo and Howard Levy Harmonica School. Learn more at http://www.ArtistWorks.com .